Story time theme for July is Farming. 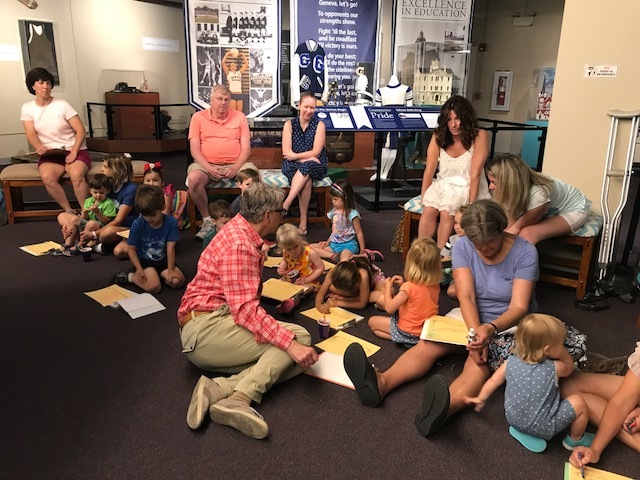 Join us each month during the summer for a special story time reading about a theme featured in the children’s exhibition “Let’s Play Railway!” Drop in for reading and an activity led by the Geneva Public Library. Recommended for children ages 3 to 8 years old with parental supervision. Registration not required. Free admission to the gallery following the activity. Free admission all year long with a Geneva History Museum Membership.